Strawberrynet – the world’s leading online shopping destination for beauty – is proud to carry over 800 beauty brands, including some of the best up-and-coming brands gaining traction today. Some of these brands, like Eve Lom, Peter Thomas Roth, Penhaligon’s, By Terry and Decleor, are so exclusive that they may not even be in department stores. That’s why Strawberrynet is the shop of choice for shoppers looking for their favourite brands. 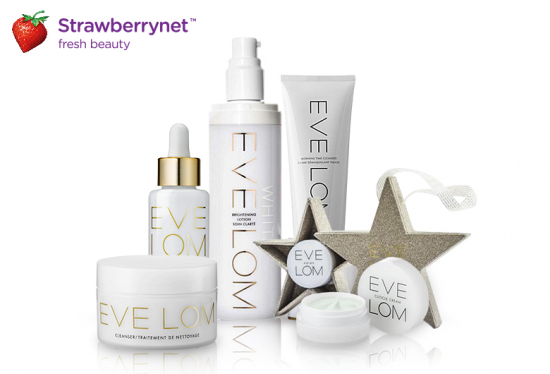 Eve Lom, a skincare brand that recently gained acclaim for its Cleanser, can be found for 25% cheaper at Strawberrynet. 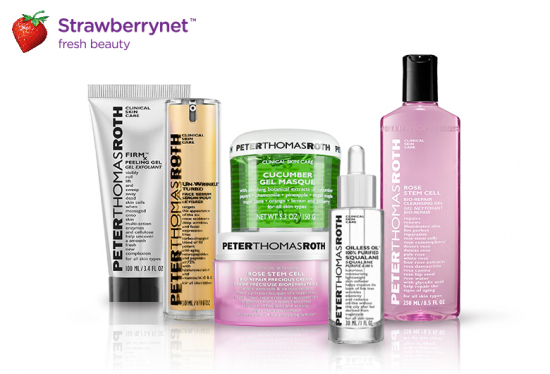 Likewise, Peter Thomas Roth has exploded in popularity recently because of its ground-breaking Cucumber Gel Mask and Rose Stem Cell Bio-Repair Mask. Both, however, lack their own brick-and-mortar storefronts. Instead, smart fans who want to purchase it can turn to Strawberrynet, where both can be purchased for a fraction of their retail price. Strawberrynet also carries the latest, hard-to-find names like the fashionable, high-end fragrance label, Penhaligon’s, and the elegant, ultra-luxe makeup brand, By Terry. These brands may only exist as single, tiny shelf in Nordstrom or Selfridges. But at Strawberrynet, customers can browse huge selections from both brands and purchase them at prices that make them a steal. Lastly, Strawberrynet is proud to carry salon-exclusive brands that can’t be found anywhere else. Fans of Decleor, for example, can pick up their favourite Aromessence purifying oils at discounts of 50% or more. 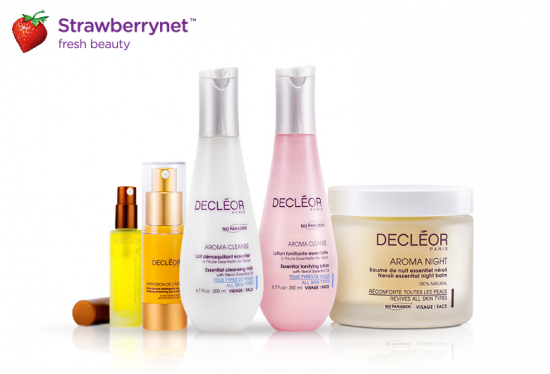 These best-selling oils are always in hot demand, and Strawberrynet is constantly stepping up to meet the demand, not only for this Parisian brand but for other internationally-recognized spa brands. Plus, once a small nominal spend is met, shoppers get free shipping and a speedy delivery to just about anywhere in the world. That’s why it’s the best way to shop, no matter what you’re looking for. Strawberrynet is the world’s leading shopping destination for beauty, housing over 800 brands and 33,000 products at heavily discounted prices. Founded in 1998, Strawberrynet sources beauty products from all corners of the world and offers the most diverse range of makeup, skincare, haircare, fragrances and home scents than any other website. Operating in 38 languages and providing 24/7 customer care, savvy shoppers globally can discover the best deals in beauty with ease and enjoy fast and free worldwide shipping.